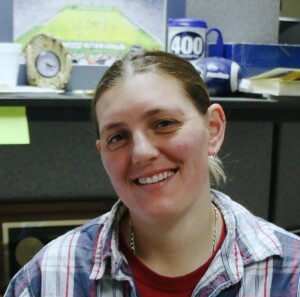 Emily Horos, sports editor at the American News in Aberdeen, S.D., has ascended to the position of chair of the Great Lakes Region. Horos, who was elected vice chair of the region last summer, will finish out the term of previous chair John Boyle of the Dayton Daily News, which will expire in June 2018. Boyle stepped down citing work and family commitments. An election for a new vice-chair will be organized. Any eligible APSE member from the region wishing to be a candidate for the position, or anyone who wishes to nominate someone, should contact Horos at ehoros@aberdeennews.com. The Great Lakes Region represents Illinois, Indiana, Michigan, Minnesota, North Dakota, Ohio, South Dakota and Wisconsin.